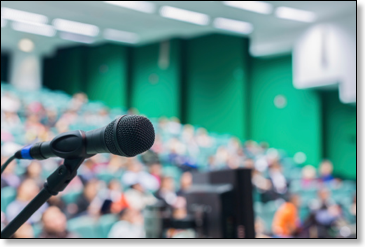 Presentation skills training to help you Present With Ease! Present With Ease has helped thousands of presenters develop the confidence, presence and the ability to communicate effectively. Regardless of whether you choose a one-day workshop, two-day workshop or one-on-one coaching, you’ll learn how to put the audience first. Eric’s proprietary content development tools will help you structure a conversation—not another boring presentation—that provides value to the audience while helping you define and achieve your business objectives. You'll learn to use visual aids effectively. You'll understand how to apply important principles of face-to-face communication to all presentations—whether one-on-one or groups. Your communication skills will improve in virtually all aspects of your professional and personal life. And you'll gain insight into answering questions clearly, concisely and effectively. This will enhance audience engagement, understanding and buy-in—and have them engaged and leaning in for more. If you're interested in communicating effectively—in acquiring the skills to improve every presentation you'll deliver for the rest of your life—contact Eric. He’d be delighted to help you Present With Ease! “I’ve known Eric for many years, and have tremendous respect for his deep knowledge and skill in presentation and media training. “Several years ago, I brought him in to help strengthen the presentation skills of the senior consulting team of my employer at the time. His training sessions were well focused, both on developing and polishing the team’s presentation skills, and on the business-building goals that were the underlying need. “Eric’s work with the team boosted their confidence and energy, and it’s given them a key tool that’s ultimately led to a number of business development successes.